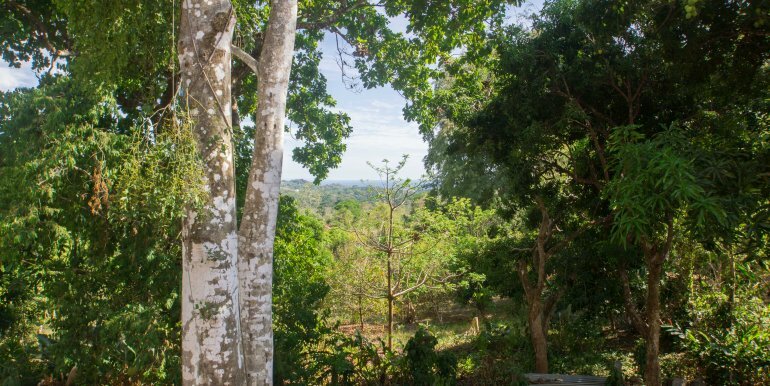 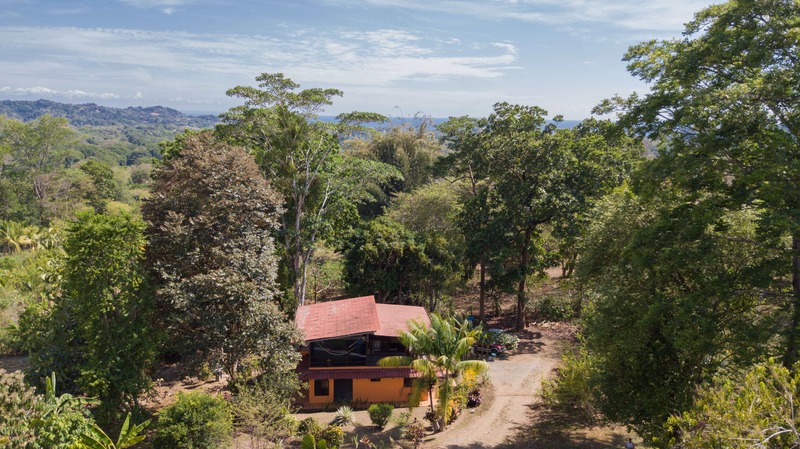 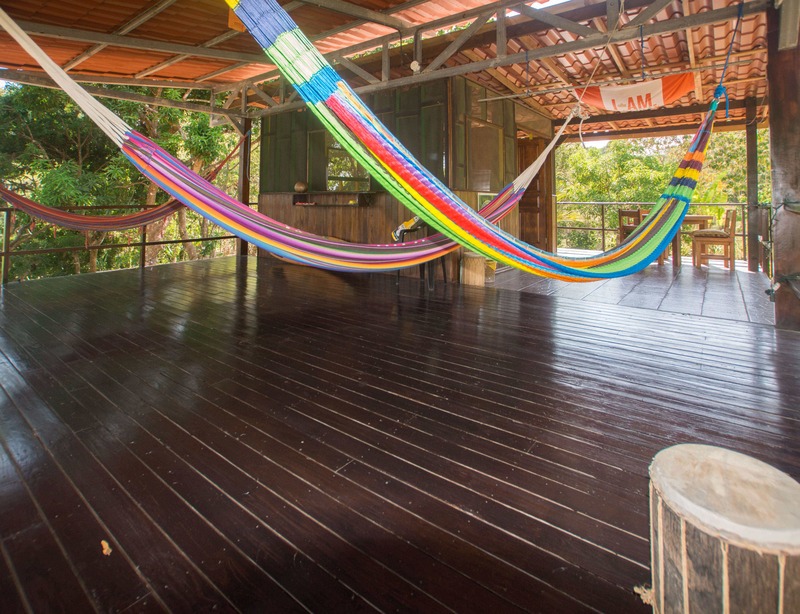 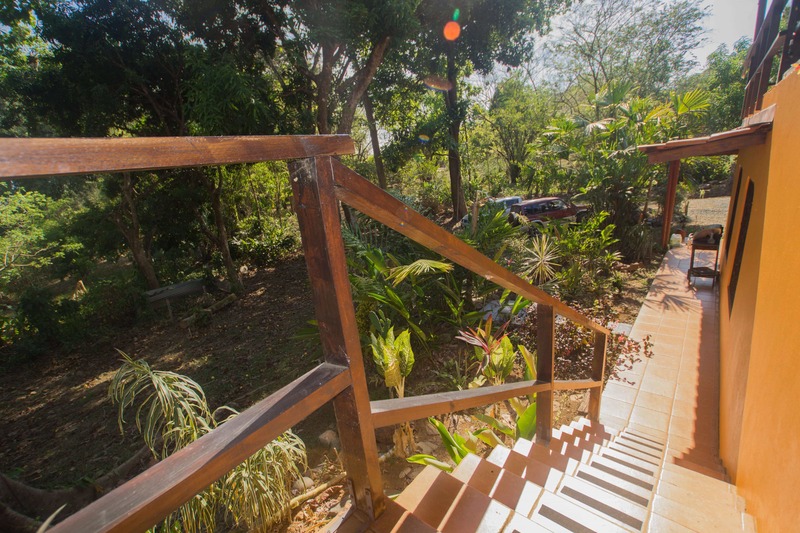 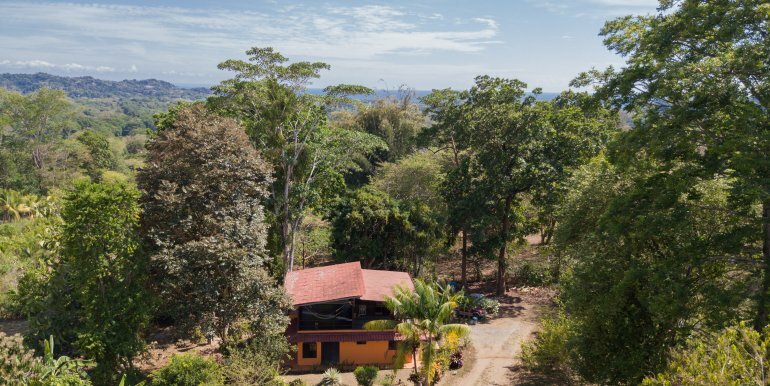 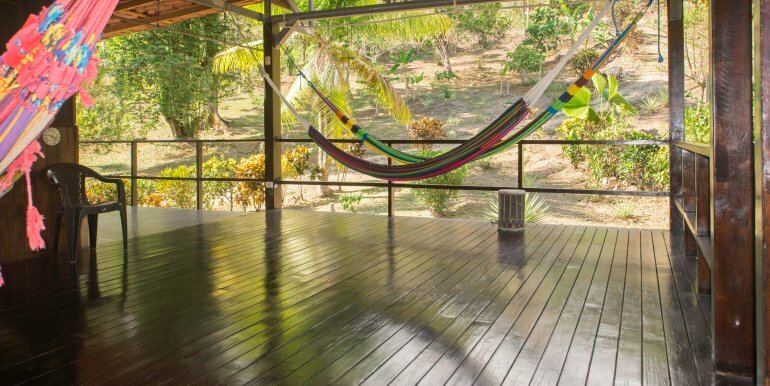 One of only a few homes on a select street, this ‘garden lifestyle’ jungle view home is an ideal selection for a couple who want to live in a simple, pura vida way. 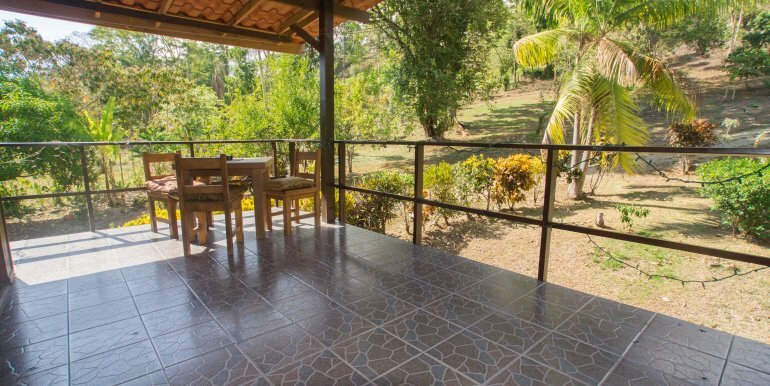 This is a great location for those who like to go for morning walks and for those who want an easy drive to and from their home. 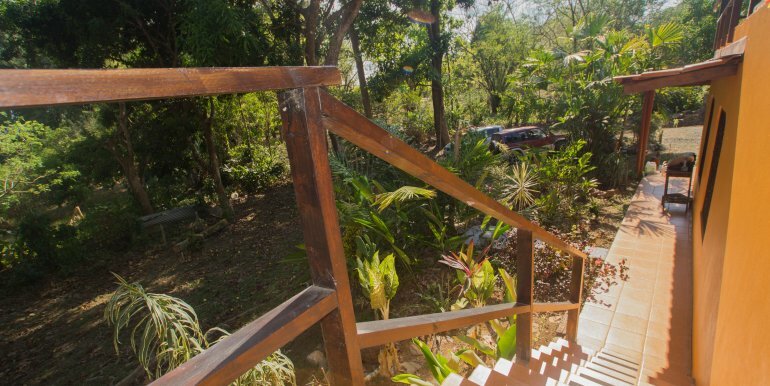 And bonus: there are ocean view pockets on this property for that glimpse of the Pacific! 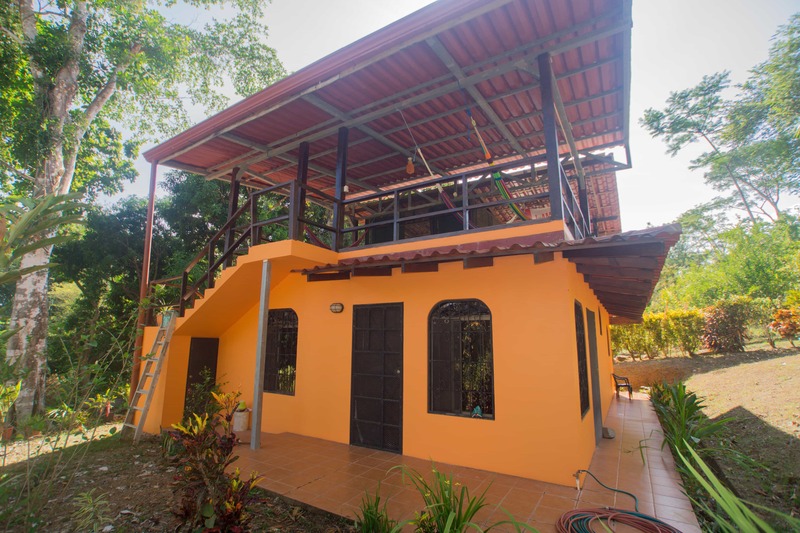 A short 5-minute drive to the highway and close to supermarkets and restaurants, this home is as convenient and prime as it gets in this price range. 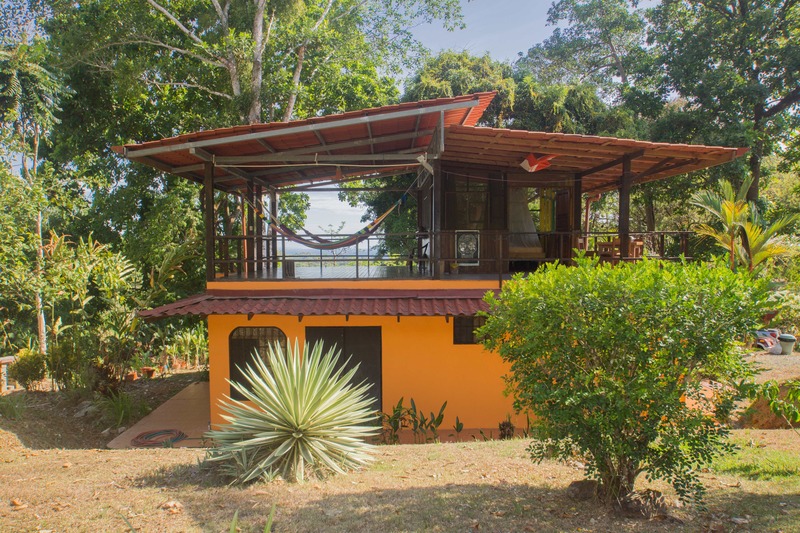 This is one of the very first ocean view homes that you can reach from the main road in this part of Ojochal. 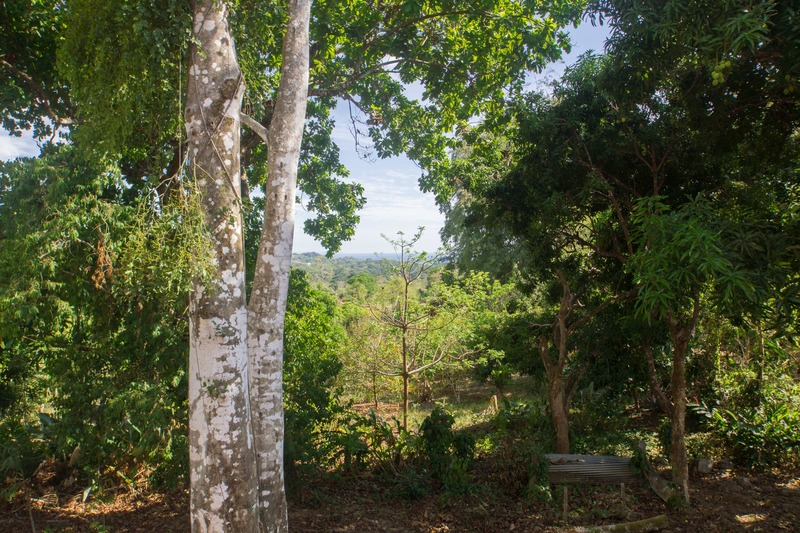 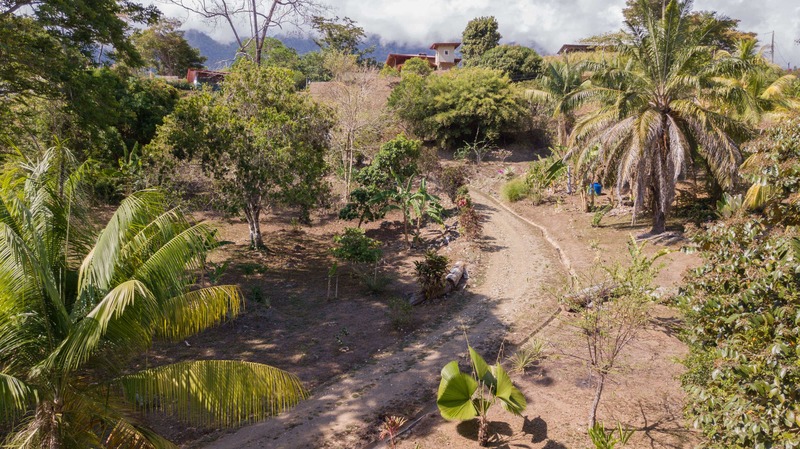 At over one acre, this pocket ocean view land has great value in today’s market and this well-constructed 2 bedroom home is a great beginning for an investor who wants to grow the property’s worth. 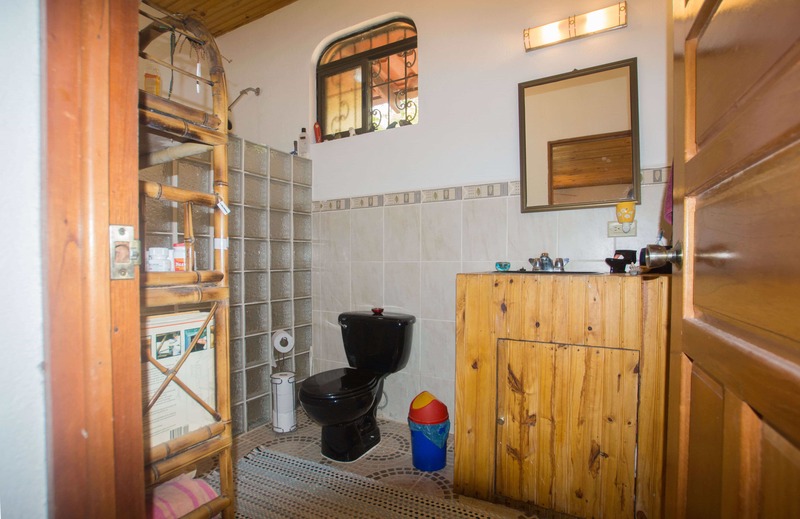 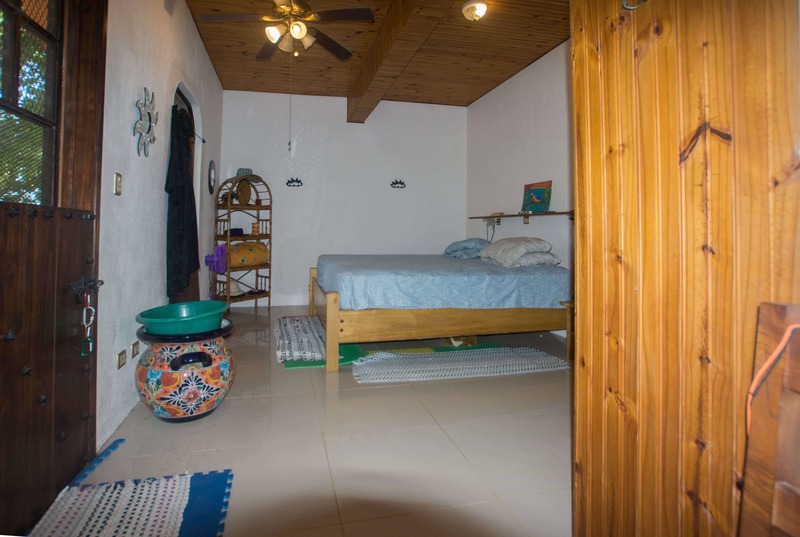 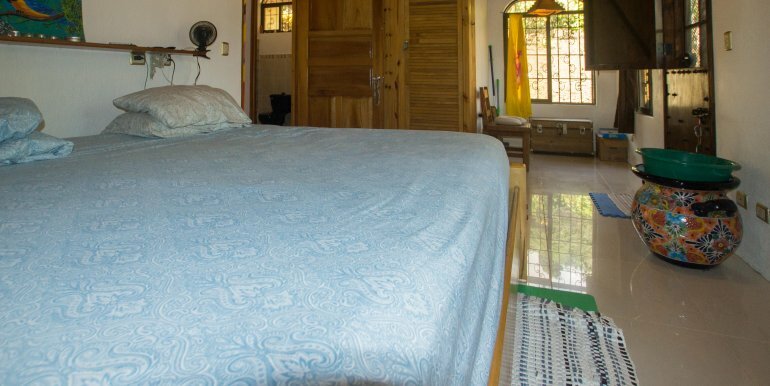 Adding a cabin or extra bedroom and pool is well within this property’s possibilities. 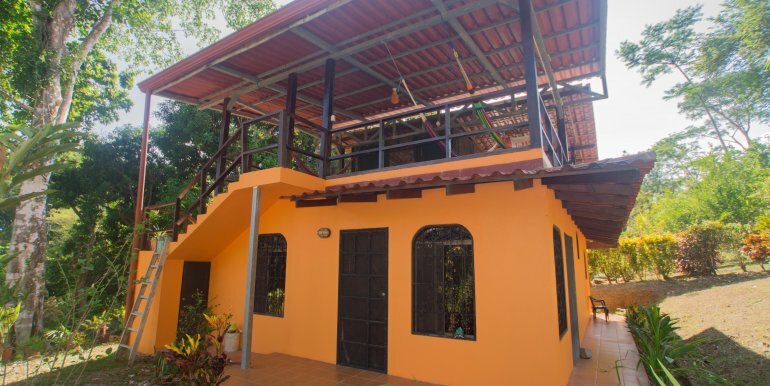 The second floor is concrete slab, meaning that it is built to support a full second floor, which will be an ideal place for a future master ensuite. 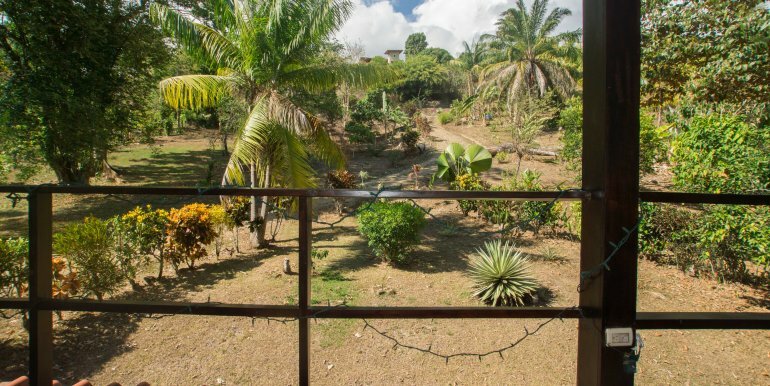 This is a property with potential that you can grow with over time. 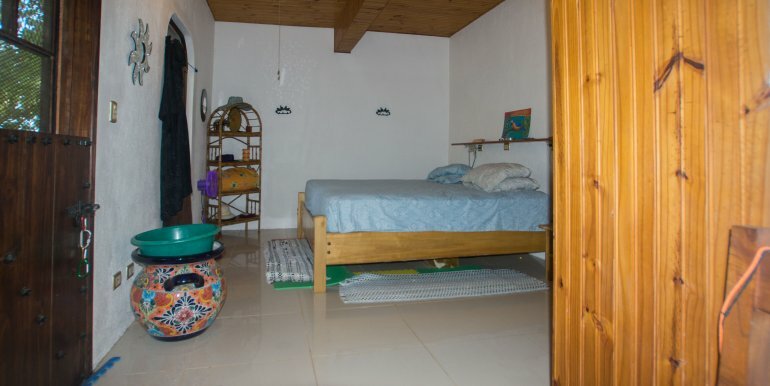 The first floor has the majority of the living space, with a bedroom, bathroom, kitchen and indoor living area. 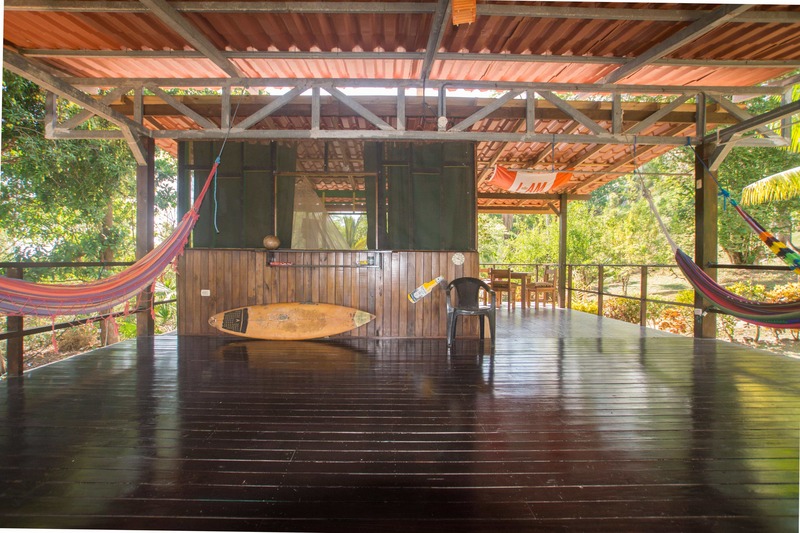 Upstairs is a breezy open concept space that could make a great master bedroom or screened in living area that captures even more of the Pacific Ocean view. 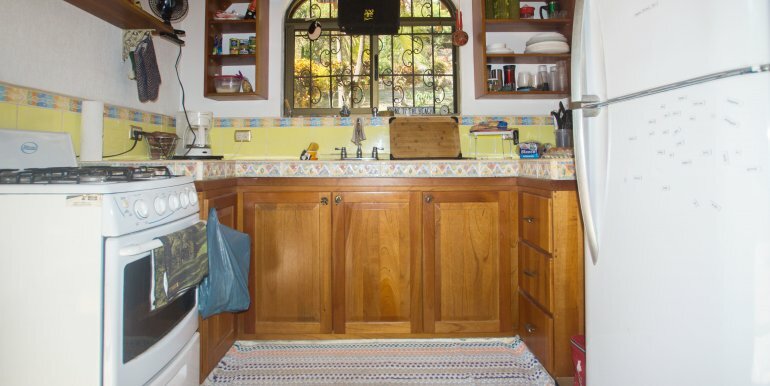 The kitchen is well appointed. 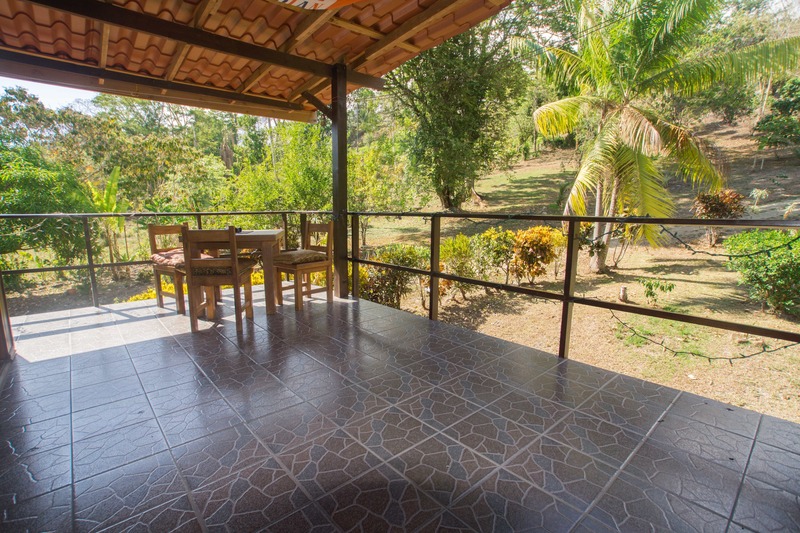 Coupled with the ample living space, this common area feels open and flows well with the layout of the home and captures the delicious breezes that blow across this mountain property all day and night. 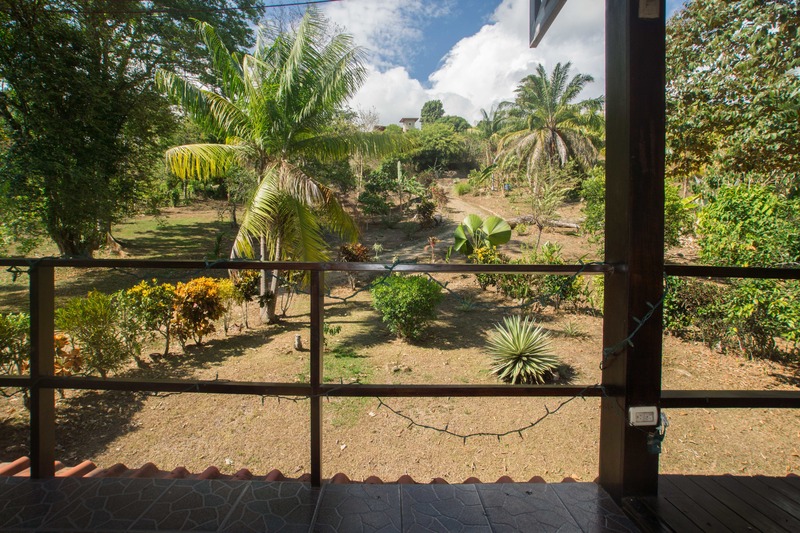 The owners of the property can enjoy a deeply refreshing dip in the natural swimming hole only steps away from the home. 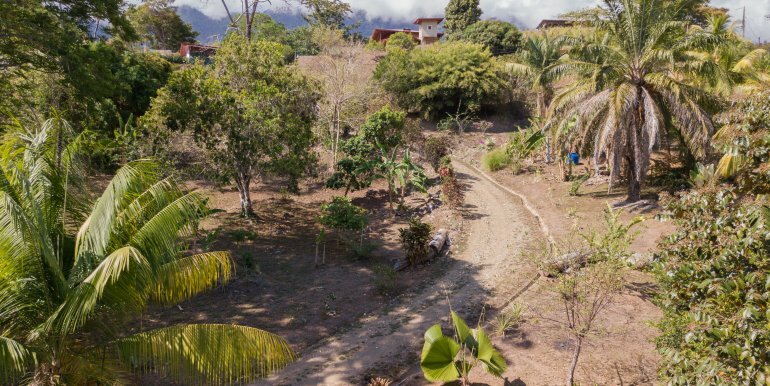 The all-year flowing river brings cool, fresh, mountain water that burbles close to the property and provides a soothing soundtrack to everyday life. 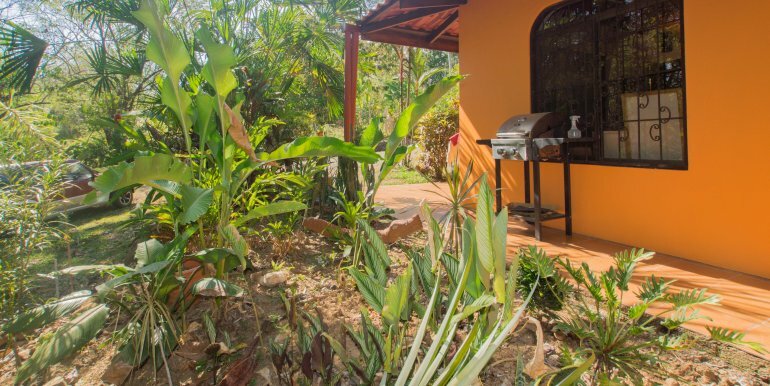 A big feature of this property is the fruitful garden and the soil itself. 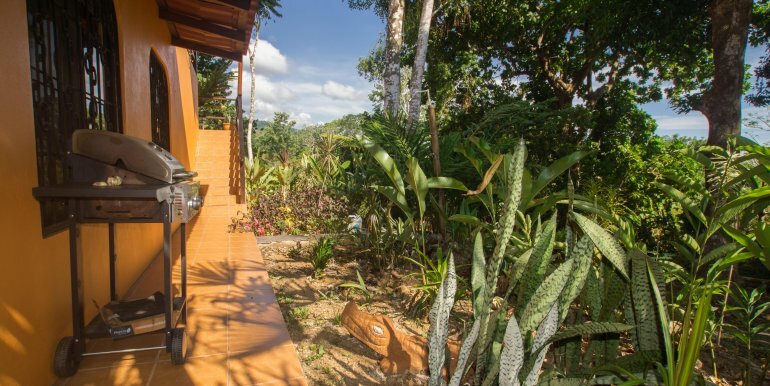 This property is unique in that it is all organic soil rather than red clay, meaning that you can plant directly in the earth. 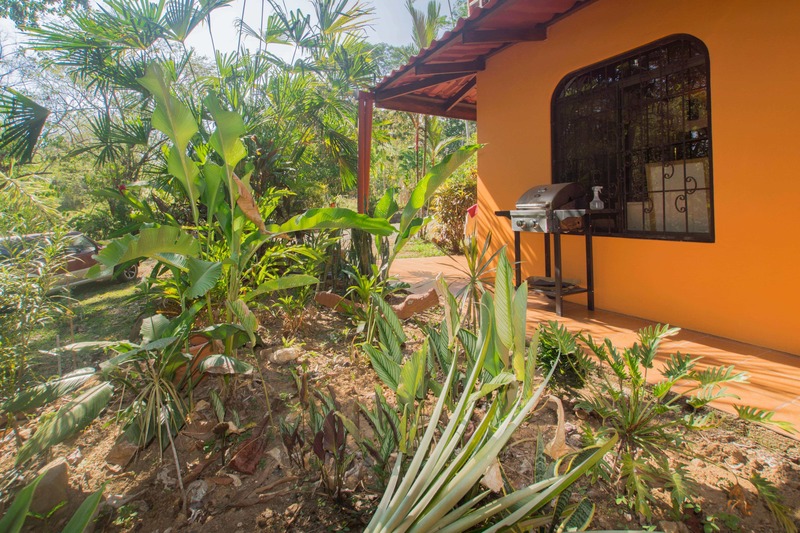 The garden currently features mandarin, mandarina, bananas, plantains, costanya, mango, guanabana, anona, sunkist orange, sweet lemon, with plenty of space for more. 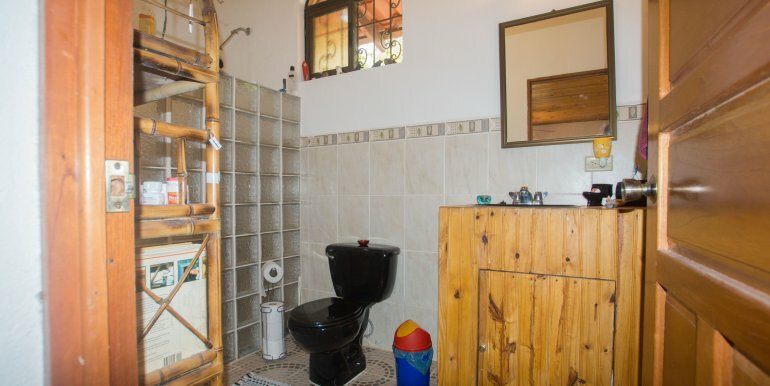 This property is well worth a look for the easy-living couple or hand-on investor looking in the under-$200k price range. 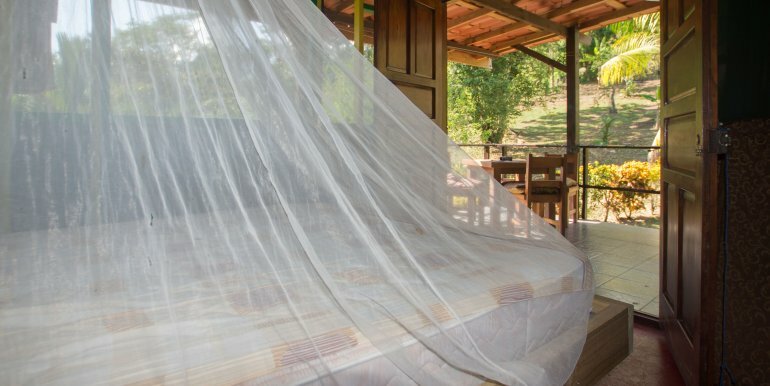 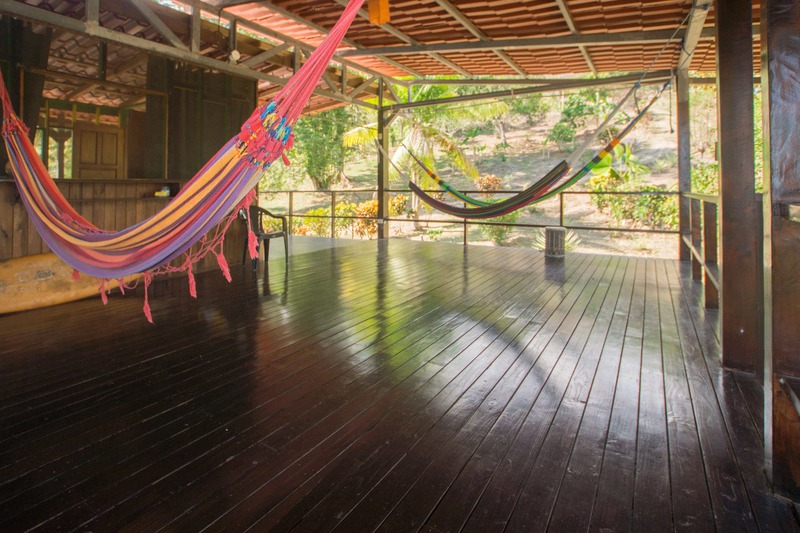 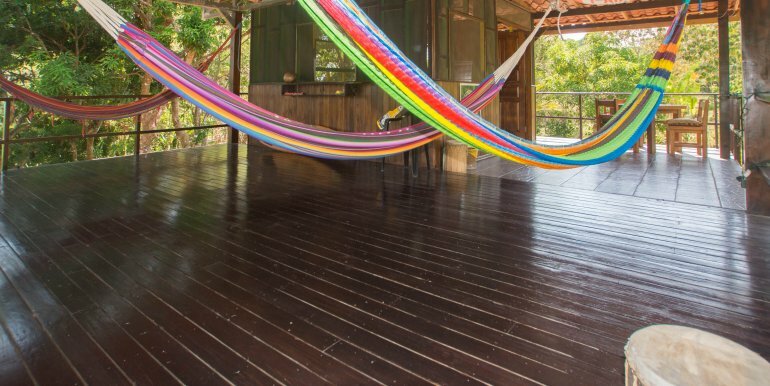 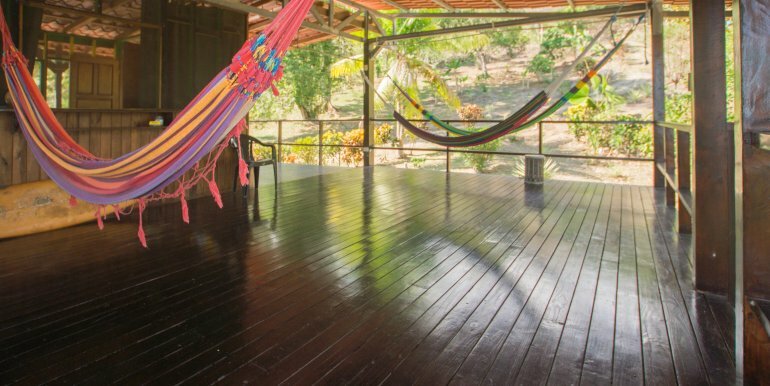 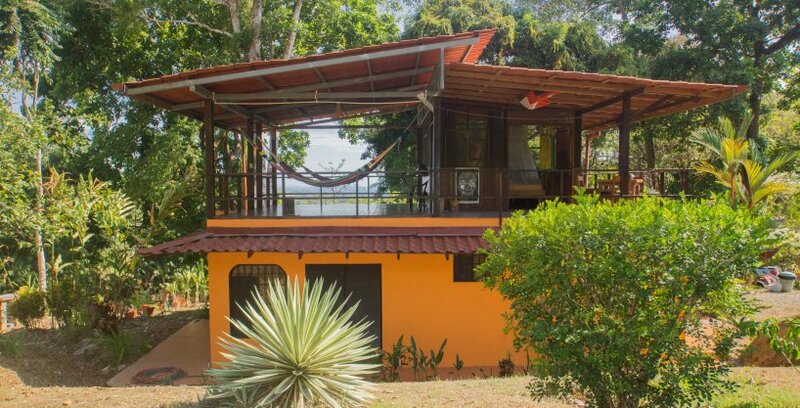 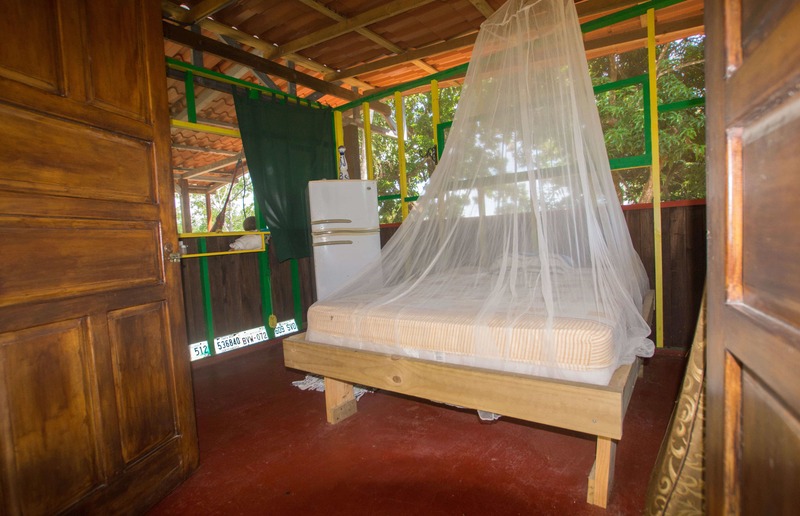 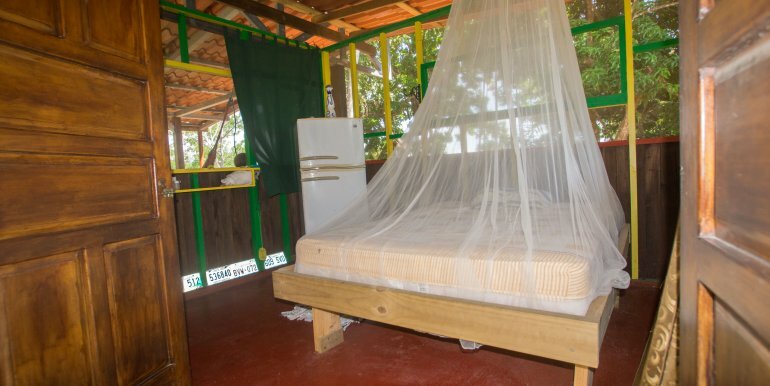 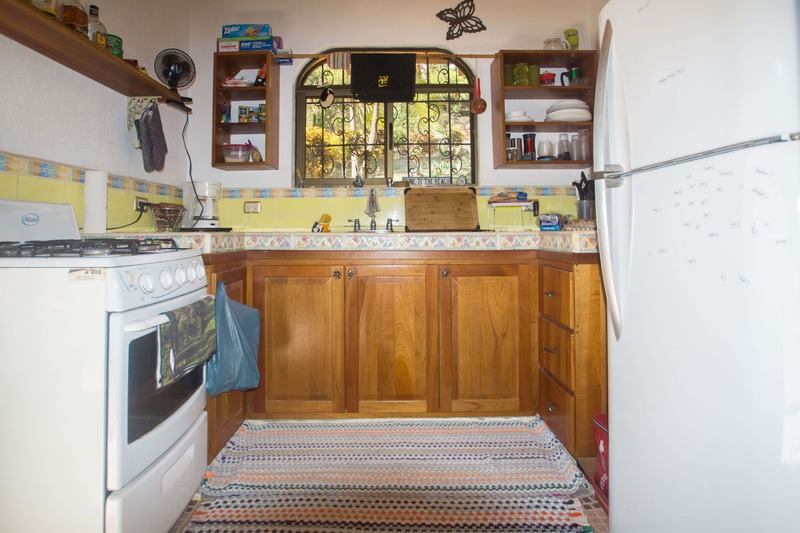 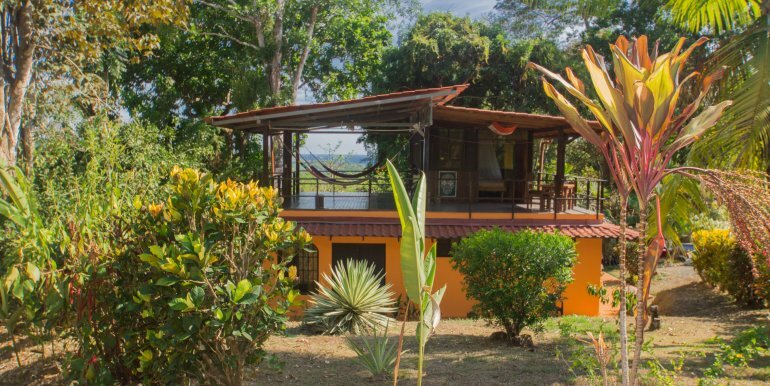 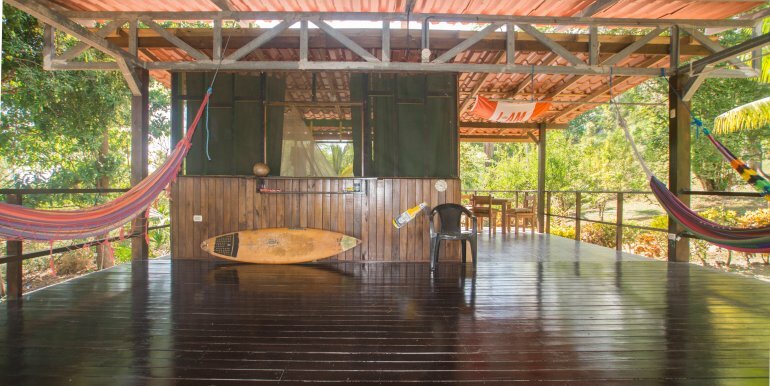 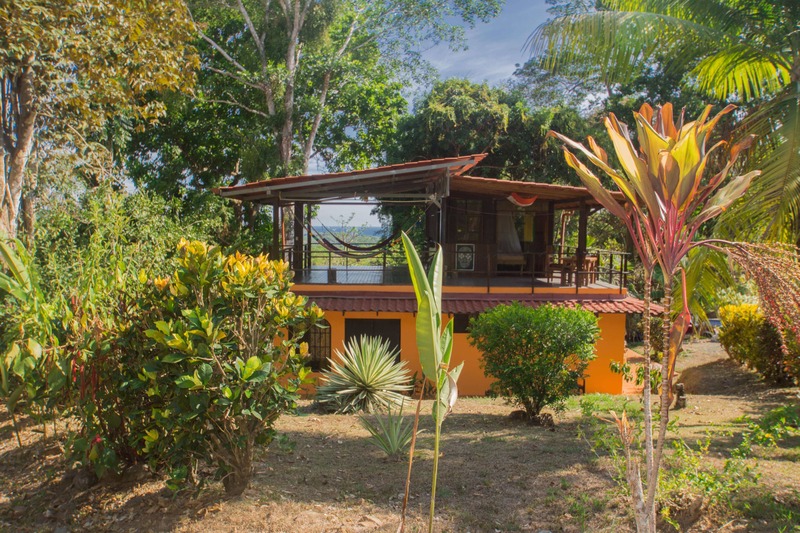 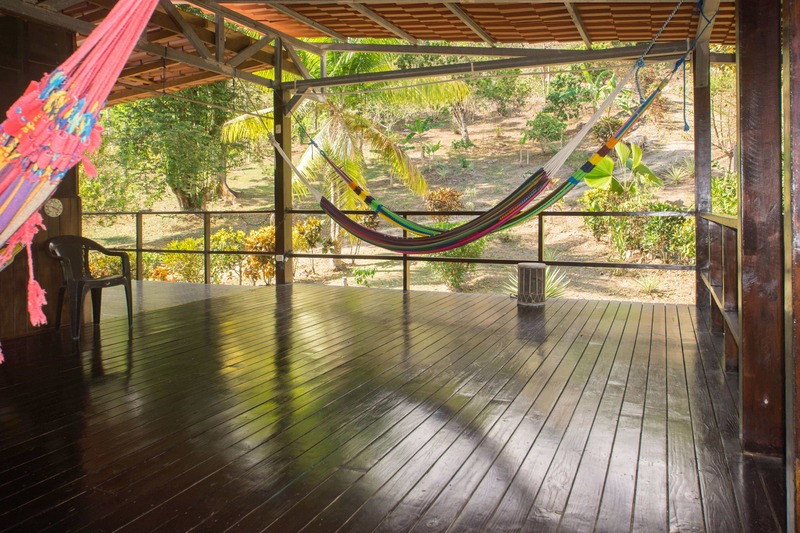 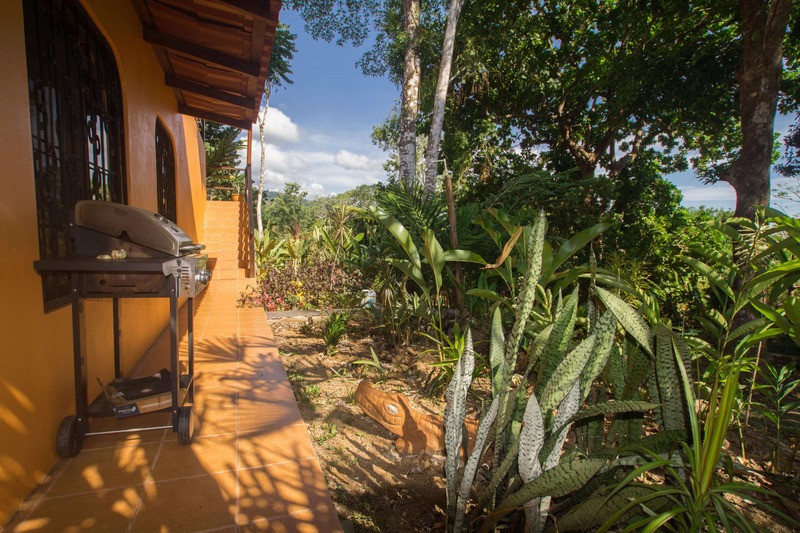 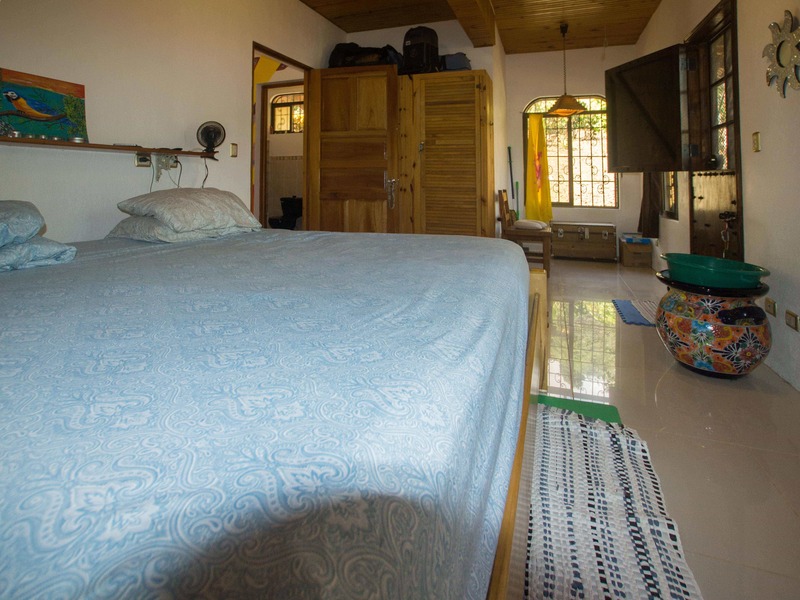 Ojochal is a unique location on the South Pacific coast of Costa Rica, and this small home makes the best of this area with it’s close and easy to get to location.